Clean room, staff were very nice. About a 10-15 min walk into the city. Easy to access from train station. Not much I am afraid. I picked this for the location but the actual building and facilities are very dated, almost depressing to be honest. Location Perfect cleaning and comfort ..5 stars ... The owner and his wife sooooo kind You feel home .value of money perfect Everything was great .. Very nice reception, clean room and comfortable to stay here. the room was clean, the place was quiet. suitable to stay a long period with the whole family. Everything was great, automated check in makes it easy to get access 24/7. Rooms are big and clean with everything you need. Great walking access to the centre but very quiet at night making it easy to sleep...views from balcony are amazing! Staff are very friendly and helpfully. The size of the room was good. But that is all that was good about the room. 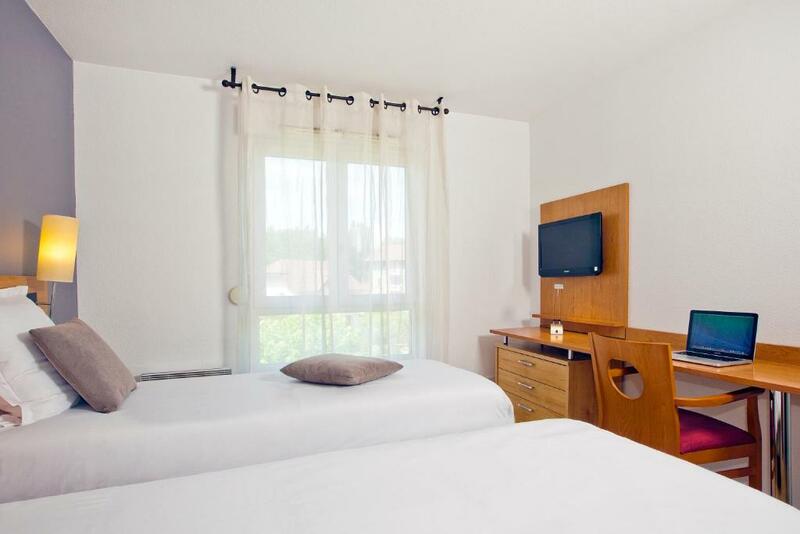 One of our top picks in Annecy.The Séjours & Affaires Annecy Le Pont Neuf is located 1.9 mi from Lake Annecy and 0.6 mi from Annecy’s historic center. It provides access to La Clusaz and Grand-Bornand ski resorts, 45 minutes away by car. Ideal for both short-term and longer stays, these comfortable apartments include free WiFi and modern amenities. A buffet breakfast is available from Monday to Friday at an additional cost. 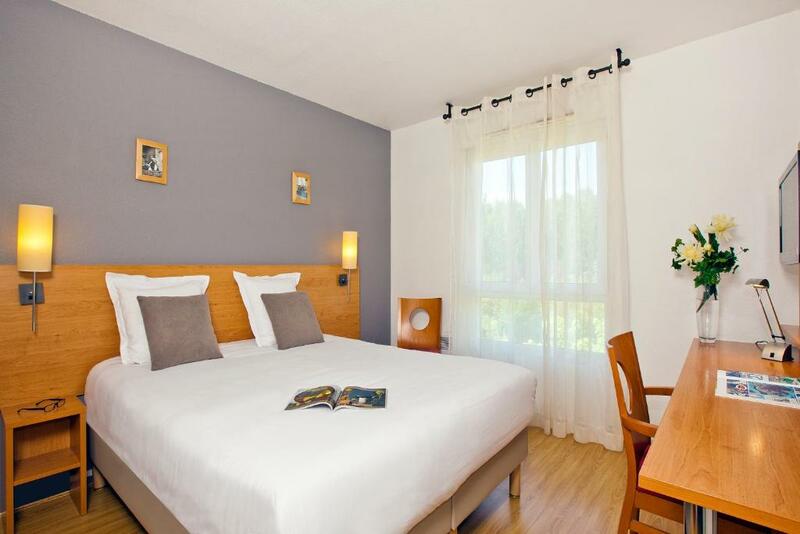 The Séjours & Affaires Annecy Le Pont Neuf is located in Cran Gevrier and is near to shops, restaurants and local transport services. 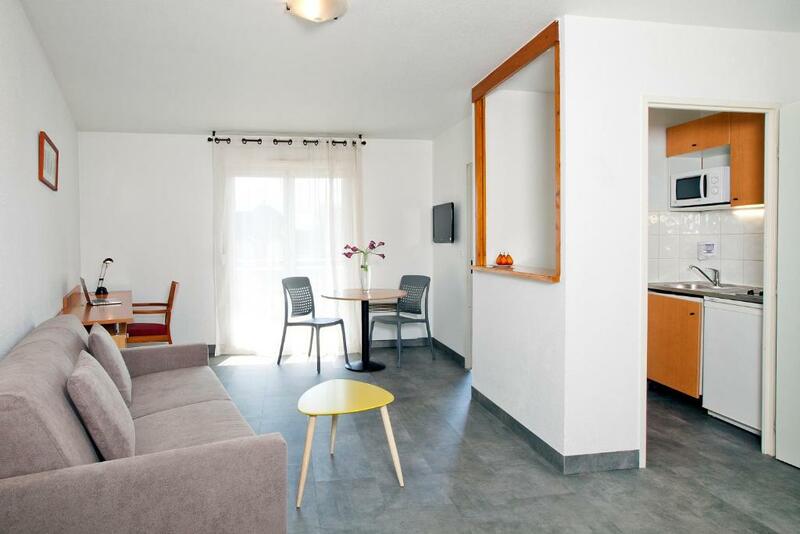 Annecy Train Station is a 15-minute walk away and parking is available for an additional charge. Semnoz Ski Resort is a 30-minute drive away. 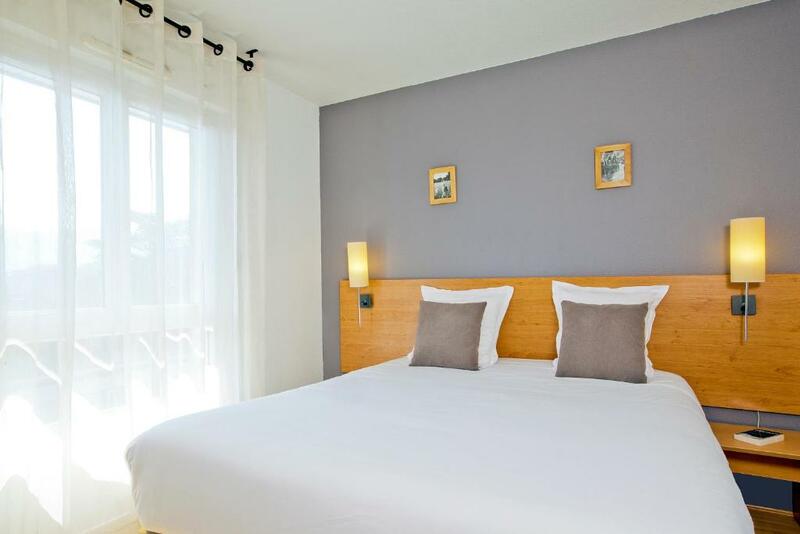 When would you like to stay at Séjours & Affaires Annecy Le Pont Neuf? 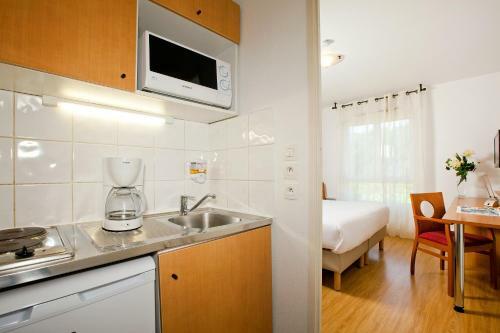 This studio has a kitchenette area separate from the lounge area. There is a bathtub in the bathroom. This apartment is bright and has a balcony with mountain views. House Rules Séjours & Affaires Annecy Le Pont Neuf takes special requests – add in the next step! Séjours &amp; Affaires Annecy Le Pont Neuf accepts these cards and reserves the right to temporarily hold an amount prior to arrival. Séjours & Affaires Annecy Le Pont Neuf accepts these cards and reserves the right to temporarily hold an amount prior to arrival. The reception is open from Monday to Friday from 08:00 to 12:00 and from 14:00 to 18:00. It is closed on Saturday, Sunday and bank holidays. For arrivals from Friday to Sunday, payment will be charged on Friday afternoon. Payment by Checks Vacances holiday vouchers is accepted and can be made during reception opening hours. For arrivals from Friday to Sunday, payment by Checks Vacances holiday vouchers will have to be sent at least 1 week before arrival. If guests don't empty the bins and clean the kitchen upon departure, the property will charge a EUR 30 extra fee. Breakfast is served from Monday to Friday. There is no service on Saturdays, Sundays and public holidays. Please note that additional parking fees may apply for trailers and minibuses. Please inform Séjours & Affaires Annecy Le Pont Neuf of your expected arrival time in advance. You can use the Special Requests box when booking, or contact the property directly using the contact details in your confirmation. Noisy, you can hear your neighbours by the 'paper' walls!! The room was clean. The bathroom and kitchenette should be renovated, I felt like in a student dormitory there 10 years back! We had an apartment for disabled people. The shower was very basic, not spotlessly clean either. The heater was not working in the living/kitchen area. It isn't comfortable for anyone that have a big luggage when they have to walk from bus station. It is just for one night. I wouldn’t recommend it for families. The place itself is a bit strange, no 24 hour reception and you have to clean kitchen and take out trash yourself, which doesn’t make much sense if they actually have people cleaning the rooms. They tell you this beforehand but still, for the price you pay it’s not really worth it. Close to city center, walking distance. No reception on weekends so we were locked out when we arrived. A pin code email was sent back in 2017 when I booked but code was wrong anyhow. Floors were really dirty. Side of bath had cracked Formica. Balcony concrete with no furniture. Stark bare walls. Said was close to Lake but Lake Annecy is a good half hr walk each way. No change of towels for 3 nights. I got new ones on last day because of muck up with arrival otherwise they were going to charge €12 each. Overall very poorly managed. There’s no reception on weekends and you must retrieve your own key from a lockbox using a code. When I checked in there were towels and shampoo but no toilet paper and no one to ask. Also, the kitchen floor was dirty as was the trash receptacle was gross. I did not touch it. The shower curtain was old and dirty and needed to be replaced. The old town is a good 15 walk and the nearest place to buy food was burger king.